Today is the second anniversary of the The Dark Knight Rises shooting on July 20, 2012. 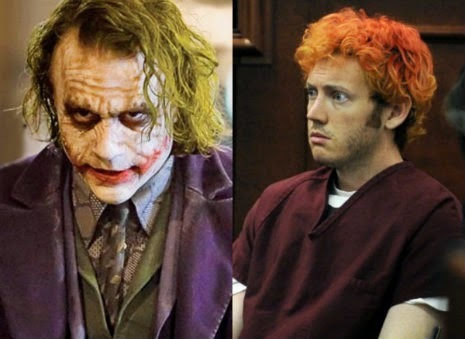 That mayhem took place in Theater 9 at the Century 16, in Aurora, Colorado, and left 12 people dead, 70 injured. 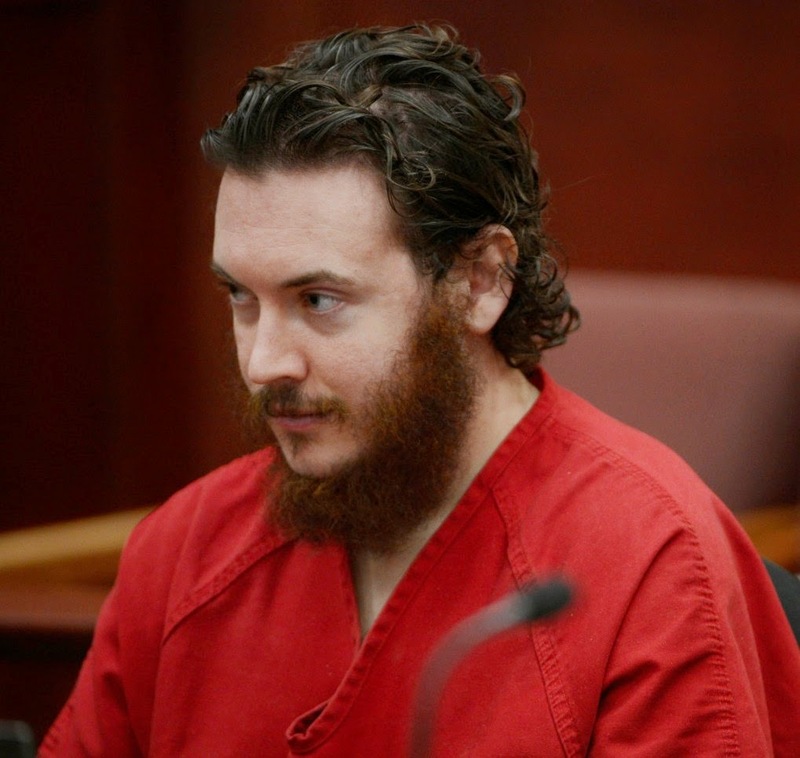 At top is James Holmes, during a March 2013 court appearance, showing his "new look." The photograph below is from a June 2013 court session. Holmes' presentation of self has evolved since his arrest. (July 2012 left, September 2012 right). 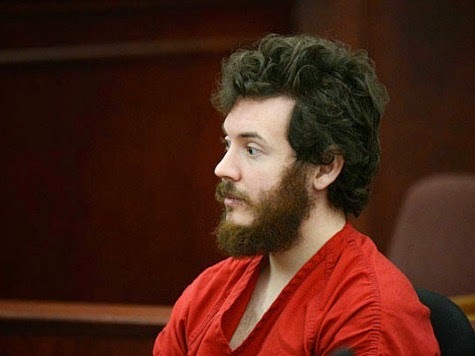 Witnesses at a pre-trial hearing discussing evidence told the court in Oct. 2013, that when James Holmes' bedroom was searched after the July 20, 2012, theater shooting, police found that his calendar had the date of the shooting marked "with a unique symbol." 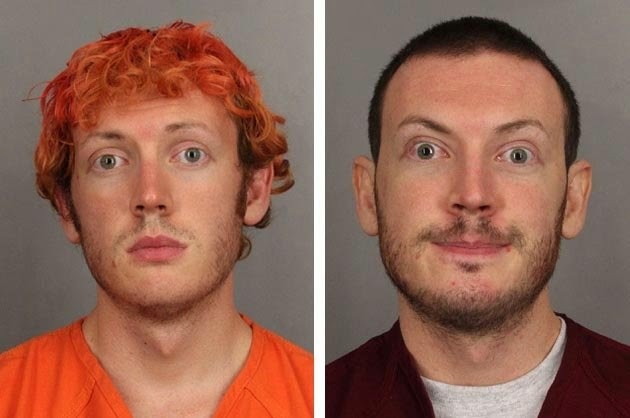 Thomas McGrath of Dangerous Minds wrote an article, "The Copycat Effect: Meet the Man Who Predicted the Aurora Shooting," which captures well my experience of the event.